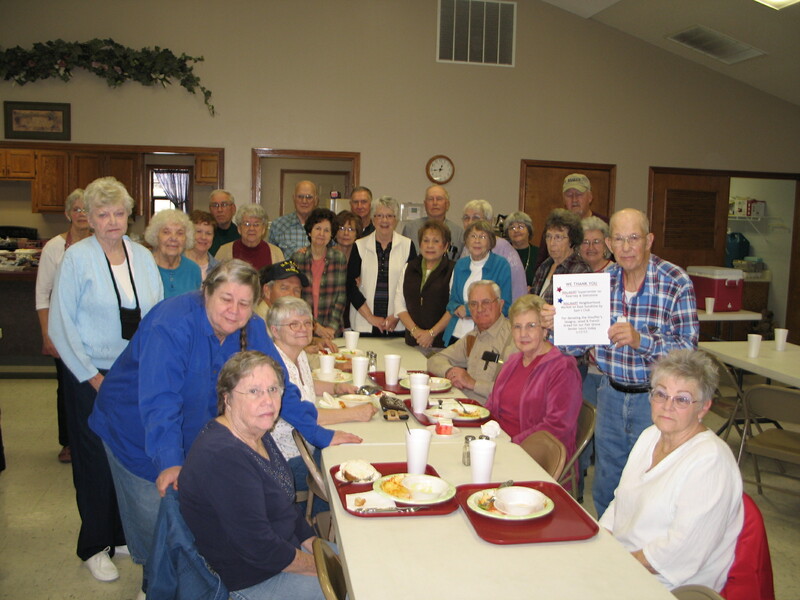 Shown below are some members of Fair Grove Senior Center holding up a note thanking Walmart Neighborhood Markets for donating lasagna, salad and bread for our Tuesday, January 17th lunch. Their gift allows us to add virtually all the member donations that day to our building fund. Thank You Walmart! Great news! 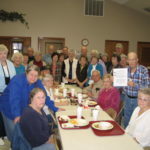 Fair Grove Senior Center’s Neighborhood Assistance Program project reached it’s goal. This was a $350,000 tax credit project. What that meant to us is that certain Missouri taxpayers could donate up to $500,000 (in total) to Fair Grove Senior Center and they in turn will receive up to $350,000 in tax credits. If those taxpayers itemize their income tax returns, those donations can be used to further reduce their tax bills by claiming their donation as a charitable deduction. In fact, as I understand it, at a certain marginal federal income tax rate, donations can be made with no out of pocket cost to a donor. We can now add that $500,000 in donations and the $250,000 Community Development Block Grant previously approved to our $58,000 building fund held by Community Foundation of the Ozarks. That brings the total building fund to just over $808,000. But there is a problem with these numbers. Before we can touch any of the $250,000 Community Development Block Grant money, we must spend $668,872, with that money coming from our building fund at Community Foundation of the Ozarks ($58,000) along with the $500,000 Neighborhood Assistance Program (NAP) funds and any other money might have—for example. our checking account, etc. To date, we are about $110,000 short of $668,872, so we must somehow raise that amount in the next year or so. The difference between $668,872 and the combined total we have in NAP and CFO ($110,000) is needed to cover administrative, engineering, architectural and related fees. Reducing those fees is helpful in cutting the overall cost of the project, but does not relieve us of the obligation to raise the $110,000. We had a Christmas quilt set raffle with ticket prices of $1 each or 6 tickets for $5. Darlene Reed won the raffle and we cleared $1,440! We will continue to have fundraisers this summer, along with other local events to follow to help offset this shortfall. We are planning on having pizza night at Hilltop Pizza in the future. These things will help bring in some money, but we need much more. We will pursue other grant opportunities, but we need generous donors to help us meet this need. If you can help, see our Donations page and donate to our building fund at CFO or complete and mail the donor form. Both of these options are links highlighted in red.